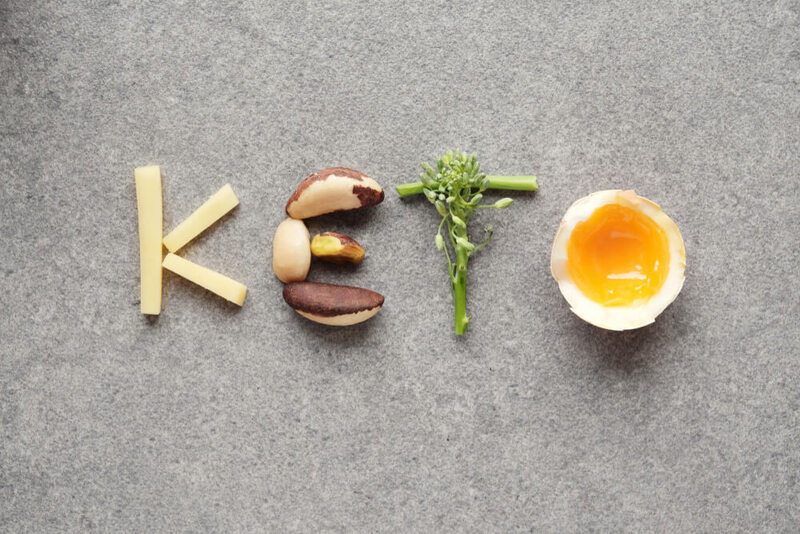 The ketogenic diet, or keto diet, is a high-fat diet that is very low in carbohydrates that also provides an adequate amount of the necessary protein. The keto diet consists of 75 percent fat, 20 percent protein, and 5 percent carbohydrates. It also has some similarities to the Atkins diet and other low carb diets. It has become a proven diet for those who are struggling with weight loss. It provides a vast array of health benefits by forcing the body to burn fats rather than the many unnecessarily consumed carbohydrates. This process helps to put the body into a metabolic state called ketosis, where it then becomes efficient at burning fat for energy. It turns fat into ketones in the liver which supplies energy to the brain. Ketosis also increases leptin levels which aid in hunger suppression. There are many pros and positive benefits to the ketogenic diet. The main and most noticeable benefit is the steady and even stream of energy that the body receives from the higher amounts of fats and lower carbohydrates that are consumed. It is well known as an appetite suppressor while minimizing carb cravings. Those who are on the ketogenic diet can say goodbye to those everyday hunger pangs. Increasing energy and losing the desire to eat when not hungry are necessary when going through a weight loss program. In addition to these, it can also increase mental focus, enhance the mood, and improve sleep. Studies have also shown that this particular diet may be beneficial to those who suffer from diabetes, Alzheimer’s disease, cancer, and as a treatment for patients who suffer from epileptic seizures. In addition, it has proven to be beneficial in lowering cholesterol by improving the ‘good’ HDL cholesterol, while lowering the ‘bad’ LDL cholesterol. Reducing the carb intake also lowers blood triglycerides. The improvement of the HDL cholesterol and lowering blood triglycerides is beneficial to reducing the risks of heart disease. And finally, the ketogenic diet has shown to reduce insulin levels by reducing blood sugar and insulin fluctuations. As with the introduction of any diet, the ketogenic diet takes some time for adaption. The process may take up to two weeks with some discomfort while the body adjusts to the new diet. The main side effect is what is referred to as the ‘keto flu’. This consists of flu-like symptoms such as headache, fatigue, and nausea. This is caused by the body not retaining enough liquids while going through a restricted carb diet. These symptoms can be avoided by taking exogenous ketones or mineral supplements. The most difficult part of being on the ketogenic diet is the restrictions it puts on your food groups and social gatherings. The Keto diet prohibits the consumption of all forms of sugar, with a very low amount of allowed carbohydrates. This can make planning meals a new and difficult task to learn. Not only will you have to revamp your entire way of planning grocery shopping lists and meals, but also trips to restaurants, and gatherings with family and friends. The keto diet may have a different impact on women then it does men. There are certain aspects of the diet that can affect hormones. While this may seem like a negative effect, it can actually be beneficial. Women that have an imbalance of estrogen and/or progesterone can suffer many uncomfortable hormonal side effects. Changing the diet can have a great impact on correcting these imbalances. The keto diet can help women who are going through menopause, have irregular periods, or have other issues of hormonal imbalances. The keto diet has also been found to have an impact on the aging process. Researchers discovered that during the starvation process the body releases a chemical compound called beta-hydroxybutyric acid which plays an important role in the aging process. It has been found that the keto diet induces the production of this compound. This chemical may be the key to age-related conditions. It is thought that low levels of these particular ketone bodies may help in the reduction of oxidative stress which is a contributing factor in the aging process.